Welcome to the land of ancient Thracians and the most prominent of them the mythical Orpheus! You must have heard the legend of the legendary Thracian singer Orpheus. He played his lyre with such an inspiration that even the wild beasts and trees were charmed by his music. Orpheus was called "the father of songs" and asserted to be a son of the Thracian river god Oiagros. The Early-Byzantine basilica in the village of Gella is already open for tourist visits. It is in the Manastira neighbourhood near the old St. Trinity church. The basilica is a part of a big religious complex which is the one at the highest sea level in Southeast Europe – 1485 m above sea level. The complex was built in connection with the Christianization of the Thracians, to be more precise – the Bessi tribe, who used to inhabit these places. The basilica was burnt down probably in the second half of the VI century during one of the Slavs and Avars invasions. 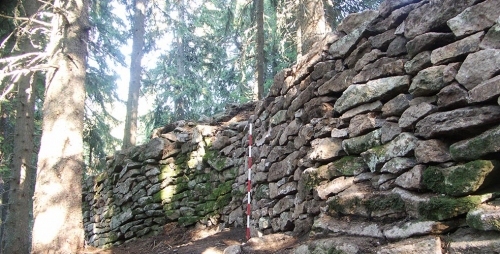 A project for an archaeological research and conservation of the Gradishte Thracian fortress was concluded this year. 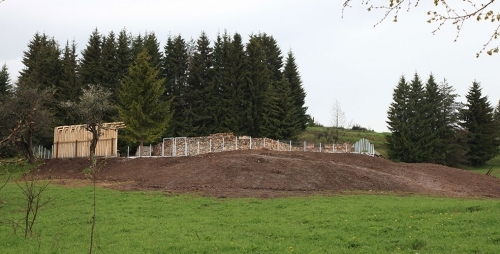 This archaeological landmark is in the Gradishte neighbourhood, 3.5 km to the south-west of Gella village. It is situated on a stone hill with a north-east/south-west orientation, to the north of Shilesta Chuka Mount. The Thracian fortress is at about 1850 m above sea level. To date there is no data about another archaeologically researched Thracian fortress at such height above sea level. The builders have utilized to the fullest extent the natural layout which makes harder the approach to the fortress and correspondingly - contributes to its easier defence. A one-hundred metre precipice serves as a wall to the east. With its impressive gorge and caves Trigrad is the most beautiful attraction in Rhodopi mountains, lying 35 km south of village of Gela. While the road curves between the roads the sky remains the only ray of light.The cliffs raise over 250 m and the distance between them barely reaches 20-30 m. Trigrad is the starting point for horse riding, cycling and walking. A 300 000 years old cave. Its total length is 1km, and the length of the improved route is 350m. In this cave you can find the biggest cascade of waterfalls on the Balkan peninsula, with a total height of 60m. According to the legend this is the place where Orpheus went down into the kingdom of the specters, in search of his beloved Euridica. Orpheus was the son of Calliope and Apollo. He was the greatest musician and poet of Greek myths, whose songs could charm wild beasts and coax even rocks and trees into movement. He was one of the Argonauts, and when the Argo had to pass the island of the Sirens, it was Orpheus’ music that prevented the crew from being lured to destruction. When Orpheus’ wife, Eurydice, was killed by the bite of a serpent, he went down to the underworld to bring her back.